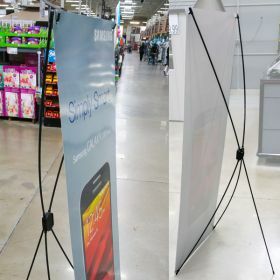 Fold-away Banner Stands for Floor. Easy set-up, easy breakdown, easy storage! Discontinued!! Buy now - while supplies last! 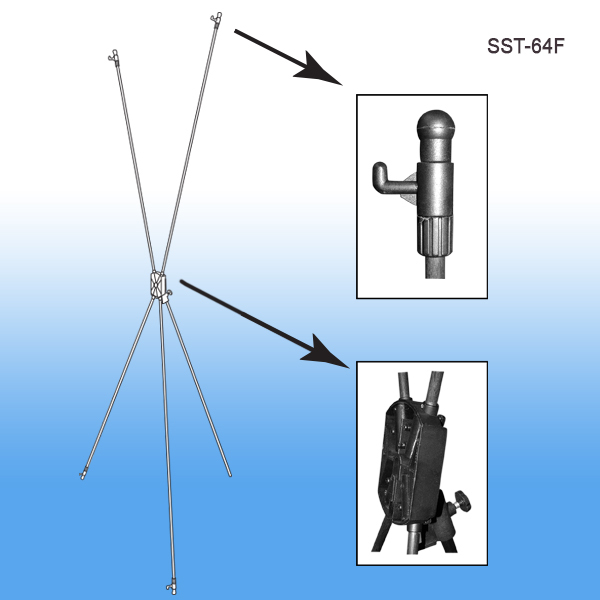 These X style portable banner stands were first made in Korea. 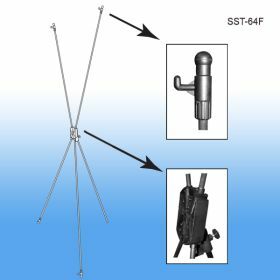 They are very easy to set-up and their collapsible feature makes for convienence if planning on moving them, re-usign them and they are super lightweight and very affordable. If you are not sure of all the features, give us a call, and a member of our trained customer service department staff will be glad to explain further. 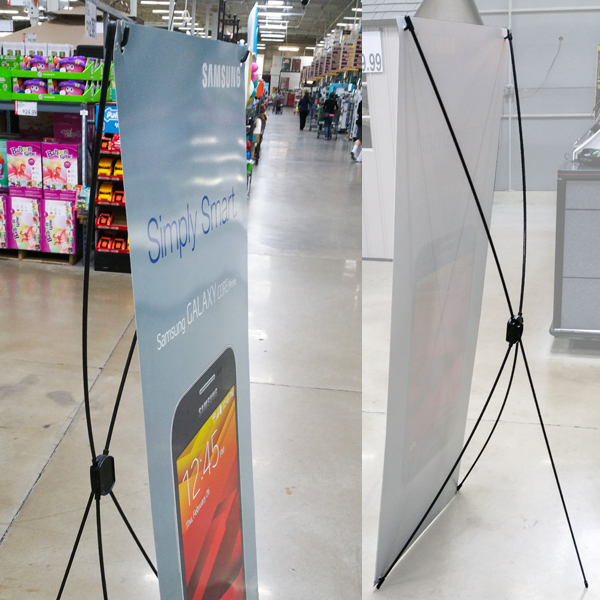 We also carry a more permanent metal floor banner stand (Item#PP-2228) used in retail stores and other busineses in entrance ways or throughout other areas of the business. Ask our team and we will provide info on that version as well.